This site is not sponsored by Girl Scouts, USA. All opinions and suggestions are those of Jennifer and Jill. The ceremony incorporates Daisies, Brownies and Juniors all moving on to the next level. Our troop has become multi-level because we add the younger sisters of current girls. We’ve also done individual level ceremonies, and will post those at a late time. We had two girls join us after our Investiture Ceremony in the Fall, so we caught those girls up at the end of this ceremony as well. This ceremony does not include a flag ceremony, but that can easily be incorporated at the beginning. Current Cadettes will act as chaperones throughout the ceremony. Daisy Leader: Today we have three Daisy Girl Scouts who are ready to cross the bridge to become Brownie Girl Scouts. They bring with them two years of laughter, fun and discovery. They are eager to join the Brownies, but first they have a special song for you. Daisy Leader: A special thanks to (insert names – we had Cadettes who helped with the Journey Book) for leading these girls in their first Girl Scout Journey. Congratulations New Brownies. Junior Girl Scouts are surrounding Brownie Girl Scout to form two circles. Brownie Leader: Since you have first stood at the magic pool, you have been exploring the world of Girl Scouting. Brownie Leader: But now it’s time to say goodbye. Break the ring, and out you fly. (The Juniors drop hands and walk to the side – Cadettes step forward to lead them across the bridge.) As I call your name, you may cross the bridge to become a Junior. Junior Leader: As I call your name, you may cross the bridge to become a Cadette. Congratulations Girls, and congratulations on winning your Bronze Award (Our Council provides a Bronze/Silver/Gold Ceremony so we don’t have a formal ceremony here). Investiture Leader: Those girls wishing to become Girl Scouts please come forward (say names). Investiture Leader: Do you promise to serve God and your country, to help people at all times, and live by the Girl Scout Law? Afterwards we have refreshments and pass out any patches and certificates and make sure girls have information concerning camp, etc. We’ve been asked to provide the words to Daisy Chain, it is sung to the tune of Hark The Herald Angels Sing. Down a Magic Daisy Lane. May I help someone today? The girls love it, and we sing it at Investiture, Re/Dedication and it’s the last song they sing before bridging to Brownies. Last week, we posted a Plants Try It plan with a Thanksgiving Twist (It can also be easily adapted to Daisies) – here are some additional Thanksgiving ideas. We like to make our last meeting before Thanksgiving more of a party. Typically, we don’t work on badges, etc. 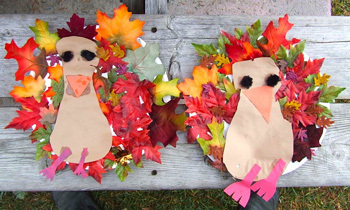 Here are some fun, last minute activities you can do that tie into the Thanksgiving theme. If you haven’t already made the Corn Meal playdough from our Plants Try It post, click here for the recipe. Thankfulness Bag We start with an empty paper bag, with the works “I Am Thankful For…” with scraps of paper, markers, crayons and pencils. Girls can write or draw things they are thankful for. Afterwards, you can share these with the troop and parents. It’s really neat to see what the girls value. Corn Husk Dolls – This is a fun activity because it really ties in with the law Using Resources Wisely. In the past, people didn’t waste a thing, and the husk from corn was no exception. Dried corn husks can easily be found in the hispanic food section of most grocery stores. Here is a great link to make your doll. Our girls really enjoyed this activity. Corn Graphing – You can reinforce math skills already taking place in the classroom by graphing. We provided three types of corn – popcorn, cream corn and candy corn for the girls to taste. Then we had the girls raise their hands (they could also fill in for themselves on the graph) for which of the corn was their favorite. Then create a simple graph. Here is an example of an empty graph sheet (although there are many more choices than we provided). Hats – here is a link for pilgrim hats. You can also let the girls choose to make Native American hats by providing feathers, etc. Knitting Iris has a cute picture of a leaf turkey. You can easily tie this into the Leaf Hunt Activity #4 from the Plants Try It (page 123). Little Nummies has a great snack idea. Check it out here. This activity can be easily adapted to Daisies. The Plants Try It can take place over two meetings, ending close to Thanksgiving. 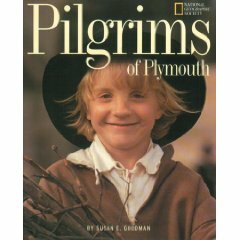 Read the book The Pilgrims of Plymouth, which we’ve had no trouble finding at the library, or you can purchase at Amazon by clicking here. Discuss with the children the pilgrim’s life. Did they have a grocery store to buy food, etc? 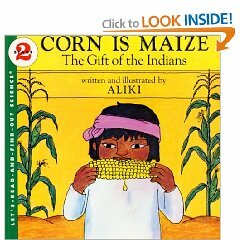 Talk about how important it was that the Indians taught them how to grow corn (which you can tie into several different laws – Considerate and Caring, Friendly and Helpful). Now would be a great time to pop corn for the girls. If possible, use a popcorn popper that allows the girls to see the corn as it heats up, or even an air popper. Most girls have had microwave popcorn, but may have never experienced popping corn in a popper. Eat popcorn and share parts of the book Corn is Maize. This book is a little long to read, so look at the book before the meeting and read the parts your girls will find the most interesting and you find the most educational. The Plants Try-It is a favorite for our girls, and the best time is Fall, when there are a lot of leaves on the ground. Depending on how far your girls walked, or how warm your Autumn may be, the girls might be hot, thirsty and ready for a snack (although do we really need a reason for a snack?). 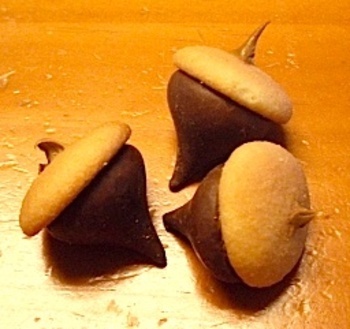 Snack: For a quick snack, you could make sugar cookies and use a leaf cookie cutter to keep with the theme. If you have more time, you can make a Fall artwork snack. Take a piece of bread, and spread with it with peanut butter. This will be your canvas. Give each girl a handful of thin pretzels. These will become your truck and branches. Then give each girl a small packet of M&Ms. Ask the girls what are fall colors? Then have them separate the fall color M&Ms from the others. These fall colors will be the leaves. AS ALWAYS: MAKE NOTE OF FOOD ALLERGIES. While the girls are reading, this is a good time to read a story. 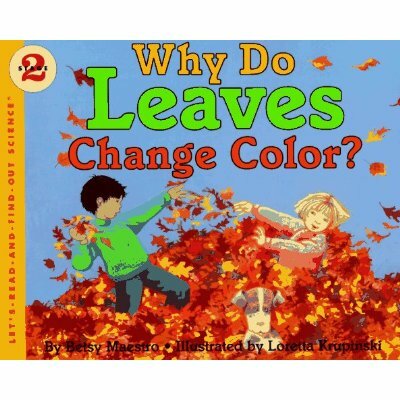 Two personal favorites are Why Do Leaves Change Colors? 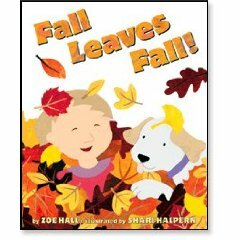 and Fall, Leaves, Fall (which can be found in your library or substitute with another Leaf Falling themed book). Afterwards the girls drew their leaf’s picture, gave it a name. For Share Time, the girls introduced their leaves to the rest of the girls. Activity #5 – Simple Plants (page 123 in Try It book – Plants) Jill was happy to donate the dust from her home – she usually has plenty. Our troop has done this activity twice. When we met in our homes, we sent the bread home that night with an explanation to the parents. Many of the girls had very vivid descriptions of the mold. Now we meet at our school, and were able to keep the bread in a plastic bag in a darkened closet. The girls were very excited to see what their bread looked like, but no one wanted to take it home. Activity #3 – Baby Beans (page 123 in Try It book – Plants) Instead of beans, we used pumpkin seeds left over from halloween pumpkins (emphasize Making The World A Better Place). If you want to stay with the popcorn theme, you can use kernels. Preschoolers Today has lots of ideas for indoor gardening, and you can view it by clicking here. We adjusted the directions a little bit. Instead of the wide-mouth jar we used the (very clear) plastic cups, black construction paper as a backdrop for the seeds and a damp paper towel. Cut the black construction paper so that it fits inside the cup. Place pumpkin seeds between the cup and the paper so the girls can really see their seeds sprout. Place the wet paper towel inside the cup to keep the construction paper damp. Girls should start seeing signs of sprouting in just a few days. Plants will grow very quickly and sprouts will need to be transplanted into a larger pot for each plant. You can also have the girls observe that the plants will lean toward the sun, so turn your plants before they get lopsided. 2. Add the food coloring to the water and mix into the dry ingredients. 4. Give to girls in zip bags to take home. NOTE: This will need to be thrown away pretty quickly, as it has a tendency to ferment. Surprise, surprise another Daisy lesson based on a book. You may be asking yourself why so many of our meetings involve children’s literature. Well let me tell you. For starters Daisies and Brownies can be easily distracted and don’t grasp abstract ideas all that well. Children’s books engage the girls visually, audibly, and linguistically. Which is a fancy way of saying that you are engaging more of their senses. If you just talk to the girls their eyes may wonder, if you are just showing pictures they may be distracted by other sounds in the room. So it is usually best to keep them fully engaged. Abstract ideas like the Girl Scout Law can be difficult for the girls to fully grasp. Yes, they know they should be friendly and helpful, but when we present this law in an abstract way, we have no way of knowing if they really have an idea of how to make that law a part of their own lives. Reading a story that reflects the law gives them a concrete example of the law and a great basis for discussion. 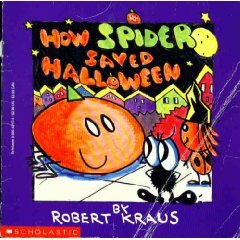 How Spider Saved Halloween In this story Spider is going to go trick or treating with his good friend lady bug, and lady bug’s friend fly. Fly of course is not too crazy about spider. Spider proves himself a loyal and courageous friend when he gives of himself to “save Halloween”. Snack: Spider Cookies. Ritz crackers, choclate icing, raisins for eyes, stick pretzels for legs, craft sticks to spread icing. Give each girl one cracker, then pass out craft sticks with icing on them ask the girls to spread it on the cracker (tell the girls they are to be responsible for what I say and do, if they eat all of the icing before it is on the cracker it is their responsibility), each girl will then recieve 2 eyes and 8 pretzels (it might be fun to let them help with the counting), guide the girls in placing 4 pretzels on the edge of one side of the cracker and 4 on the other, place the eyes on. Now you have a yummy snack!! This is another idea for a spider snack. This is an easy but meaningful lesson for the girls!! We may be tiny, but we are stong!! 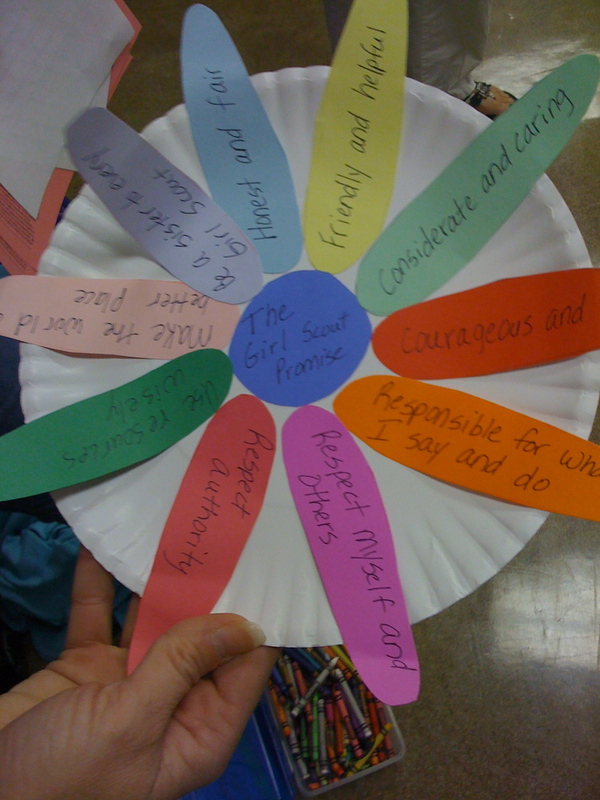 The first year of Daisies can really be devoted to learning the various parts of the Girl Scout Law. Feel free to combine them in each lesson. Sometimes our youngest Girl Scouts may feel that they are too small to make a difference. Many of them are timid and shy and may be intimidated by the older girls. This is a lesson for Daisies to encourage them to be Courageous and Strong, while learning to be Friendly and Helpful and Respect Myself and Others. Prior to reading the story ask the girls if they have ever felt too young or too small to help someone else. Have they ever been afraid? Would they be afraid if they were bigger? Tell them that in today’s story they will learn that something small can grow into something bigger than anyone could imagine, but it sometimes takes courage!! 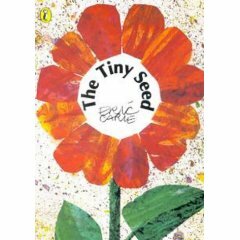 The lesson starts with The Tiny Seed by Eric Carle. This is the story of a tiny seed that is carried by the wind across harsh elements. As you follow the travels of the tiny seed you will also follow the changing season. By the end of the book, the girls will realize that size is not what is most important. Sometimes having the courage to grow and change is what really matters and even the smallest of things can grow into something beautiful. Snack: Sunflower trail mix. Bring a combinaiton of items for trail mix, be sure to inclued sunflower seed nuts. Tell the girls that today they will hear a story about a seed. Items you might include in the mix: sunflower seed nuts, raisins, M&M’s…Pour all ingredients into a zip lock, and allow each girl to shake it. Remember to always check for food allergies. Activity: Purchase at least 3 different types of flower seed packets (could be daisies, sunflower and zinias). Compare the seeds. Are they the same or different? Tell the girls that even though the seeds are different they all produce lovely flowers. Ask the girls if the seeds all look the same. Then ask the girls if they all like the same things? No, but they are all beautiful in their own unique way. Remind the girls that Girl Scouts Respect Myself And Others, and that one way to follow this law is to accept that we are all different, and that is okay. The world is a much better place with flowers of many colors, wouldn’t it be boring if they were all the same. Craft: Our new Daisy leader Misty shared this craft. The girls will make a Daisy Craft that will help them to remember the Girl Scout Law. Remind them that a Daisy is a flower, and just like the tiny seed they (as Daisy GS) are growing. Every time they follow the GS Law they are growing in Charcter. Character is what make us who we are, when we make good choices we are growing in beauty. Remind them that sometimes it takes courage to make right choice, but if they are courageous and strong they will grow into something beautiful, just like the tiny seed. As always, they help clean and straighten up their meeting area. Girl Scouts always leave a place better than how they found it. Most of you have purchased your Girl Scout materials, and some of you have already started having meetings. Now I have a challenge for you!! Think outside the box. Think back to your favorite teacher growing up, or even one of your child’s teachers (one that really stood out as something special). I’ll just bet, that he or she implemented original ideas in the classroom, by supplementing the provided text with fresh activities and ideas. You can do the same in your Girls Scout program. At a national level Girl Scouts has provided a variety of programs and tools to use with our girls (some better than others). As leaders we can make the materials fit the needs and interests of the girls in our individual troops. One of my favorite ways to spice up our Girl Scout programs is to add a theme. That theme is often built on childrens literature as you will see in some of the following activities. The following activities will be built on the Dancersize Try-it and the Creative Composing Try-it. I have taken those try-its and turned the activities into a serious of 3 meetings each with a different theme. The first “Sock Hop” is a fun way to kick off the Try-its, the second HipHop Halloween Ball is built on a children’s story book, and finally the Cool Cats (or Halloween Cats) incorporates a new spin on an old children’s story. Keep in mind that you can change these ideas to fit the needs of your own group of girls. 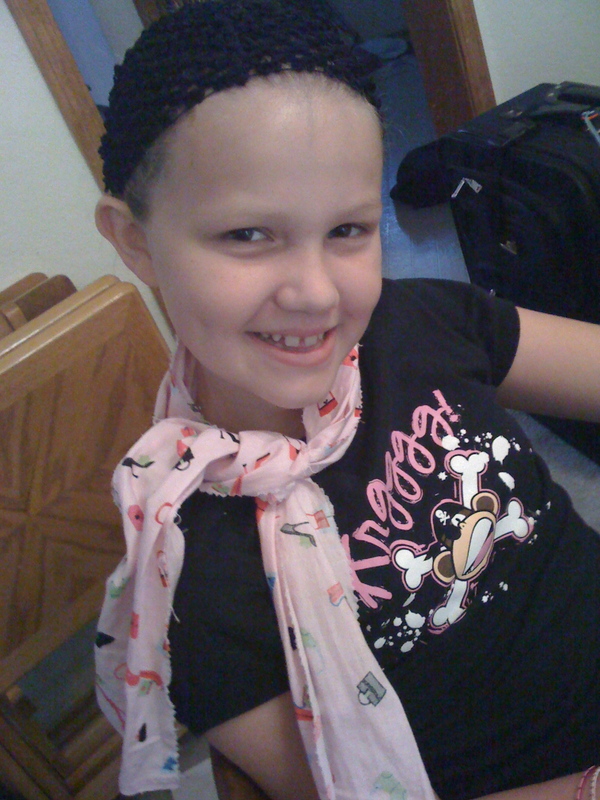 Dress Up: Provide scarves (or fabric squares) for girls to tie at their necks, 50’s style. You may also want to provide a cut out of each girl’s first initil to tape to her shirt. Our Cadettes led this Try-It, and they wore poodle skirts, and other 50s Day outfits. They really got into it. Snack: Kick this day off with a yummy 50’s Day snack, we chose Root Beer Floats. Sock Hop: Let the dance party begin. Turn on music from the 1950’s and encourage the girls to dance (you should get in on the fun too). Encourage the girls to dance in their own way, moving to the music. You may also want to plan a dance or two like the Bunny Hop or the Hokey Pokey. Hula Hoops could be another fun addition. Your own 50’s Day song: Let the music of the 50’s inspire you and your girls. The girls can take the frame work and tune of a song like the “Bunny Hop” and use it to compose their own. This is just an example, your group will come up with wonderful ideas on their own…I used the tune of the Bunny Hop (sort of) to make up this two line example. Continue working on Dancersize and Creative Composing Try Its. Snack: Pumpkin Cookies. Provide the girls with plain sugar cookies in the shape of a circle, orange icing, and candy corn. Give each child a cookie and a Popsicles stick with icing on it. Ask the girls to spread the icing on their cookie. Then pass out the candy corn, invite girls to design their own pumpkin face! 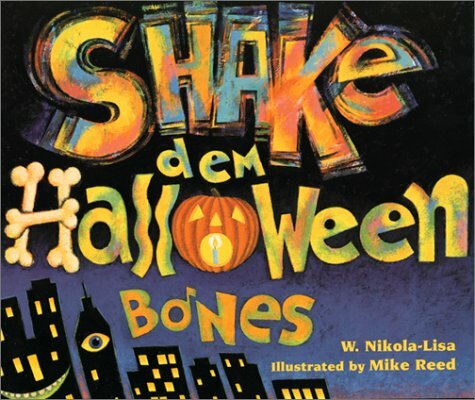 Shared Reading: Shake Dem Halloween Bones This is a fun rhythmic story! You may want to read it while the girls eat their snack. You can find this at your library or buy it here at Amazon. Make a music shaker. (Although making an instrument is not exactly one the 4 choices but it work with the idea and intent of the patch, BUT it could coordinate with Activity #1 Make Your Own of the Sounds of Music Try It, located on page 164). You may even want to invite them to shake their instrument and ask them if they can hear the “Halloween bones”. Invite the girls to create different rhythm pattern with their “Halloween Bones Shaker”. Dress Up: use washable marker to draw whiskers on the girls. Make kitty ears by cutting out felt trainges, make 2 wholes or slits at the bottom of each ear and slide the eats onto a plastic head band (you can by cheap head bands at the dollar store). Note: We have also used this Dress Up activity to enhance the Numbers and Shapes Try-It on page 114-117. Snack: Kitty Cupcake. Povide each child with a plain cupcake, and icing (if you are doing a Halloween Cat theme black or brown icing would be a good choice), pretzels for whiskers, small m&m’s for eyes chocolate chips for nose and ears. Links with cute examples and other ideas Kitty Cupcakes , Kitty Cat Cupcakes. The girls will make up a skit based on the story of “The 3 Little Pigs”, but this time it won’t be pigs going off into the world to build their houses, it will be cats. The girls will first help to organize the story. Let them help decide if their will be 3 Halloween Cats, or more, or even less. What will be chasing them? A wolf, a giant pumpkin, a dog…? They need to decide who will play the part of the “big bad” character, and finally they will need to decide on an ending. Help them think of a way to incorporate part of the Girl Scout Law into a new ending. For example, could it be that the big bad pumpkin really only wanted to borrow a stick of cinnamon for his Apple Cider (this could remind girls to be friendly and helpful). Crank up the music and start dancin’, Copy Cat Dancin’ that is. The girls and leaders can all make a circle. The leader will start the game by dancing to the music and then ask the girls to “Copy Cat”. After the leader has gotten the ball rolling allow one of the girls to show a new move, and encourage the other Brownies to “copy cat”. Do this until all girls have had a turn. While the Brownies might enjoy a day of total partying and fun it is important to maintain a regular format for every meeting. You should organize your meetings in the way that works best for you, but our example might be a good place to start. These activities should fit into the “activity” and “snack” portions of the meeting. It is good to allow about 15 minutes for each individual activity (with the exception of dress up, which could take less), that would make this part of meeting last about 45 minutes. Always remember to allow a few extra minutes as you transition from one activity to the next. Have fun, and don’t forget to celebrate the accompishments of your Girls! !